Optimism is also linked to lower pain sensitivity and better adjustment to chronic pain. This is because an optimist will tend to be less attentive to the pain and will strive to adjust to the condition.3 We may not always be able to control our circumstances, but we do have the power to change our attitude about how we let circumstances affect us. Sometimes being pessimistic can be a way of protecting your feelings. If you expect a bad outcome, then you won’t be surprised or hurt by something when it happens. By disengaging from bad news and not confronting problems, a pessimist may actually protect the body from less cortisol spikes than someone actively immersed in trying to find solutions for stressful situations. However, this does not protect the immune system from the effects of psychological stressors.7 The daily stress resulting from feeling constantly overwhelmed and having negative feelings of anxiety and helplessness can have a physical impact on the body causing inflammation and fueling autoimmune disease. Sometimes things really are that bad and it’s difficult to imagine a positive outcome. The difference between an optimist and a pessimist is that an optimist will try. Confronted with the same circumstances, an optimist and a pessimist will react differently to the same news. A pessimist will expect a bad outcome. They tend to see problems as permanent. End of the world scenarios, rather than bad luck or a bad day. They may complain and tell themselves how bad things are and that there is nothing they can do about it. A lot of energy is expended focusing on things that frustrate and upset them. A pessimist gets stuck in their own negative story. They’ll complain, but they don’t try to change or improve things and instead let it defeat them. If someone really believes that things will never get better, they won’t. Optimists expect a good outcome. They tend to view problems as temporary setbacks. Stumbling blocks, not obstructions. Optimists will view a situation, access it and look for effective options to work through any complications. They think, “I will not let this beat me,” or, “What can I do to change this?” They don’t let a negative turn of events, or fear, paralyze them. They use the anxiety and uncertainty to propel themselves forward. They lick their wounds and plant their feet for a fight. They expect things to get better and they take the necessary steps to make that happen. They don’t care if people tell them their actions won’t make a difference. They don’t falter if people don’t believe in them. They know their life is not fated. They have the power to change things. They believe in themselves, and an optimist knows that is enough to turn the tide. Nobody should go through life stifling negative feelings, pain or grief. It’s important to acknowledge these feelings, learn from them and move on. Maybe things will never be the same as they were before but we can adapt. We can look for the positive aspects of our new normal. We can control our perspective. We choose how to react. We choose to give significance to events or situations. Ask yourself if you have jumped to any conclusions? Added judgement? When faced with something distressing, reframe it. Think of the same situation with a good outcome. Try to focus on the beneficial things in your life and what you can control. It’s all about point of view. This is the key to overcoming adversity. 1) Who is important in your life? 2) What is important in your life? 3) What makes you feel healthy and strong? 4) What brings you joy? 5) What gives you hope? 6) What do you envision for your future and how will you make it happen? It’s all about believing you can change things. Optimism is this feeling deeply ingrained in yourself that anything is possible and you will always find a way. Maybe I’m naïve, but I’ll live my life knowing that I tried. So, go ahead and chase those dreams. Live the life you’ve always wanted, not the one you think you’re stuck with. Positive thinking is one of the healthiest habits you can foster. 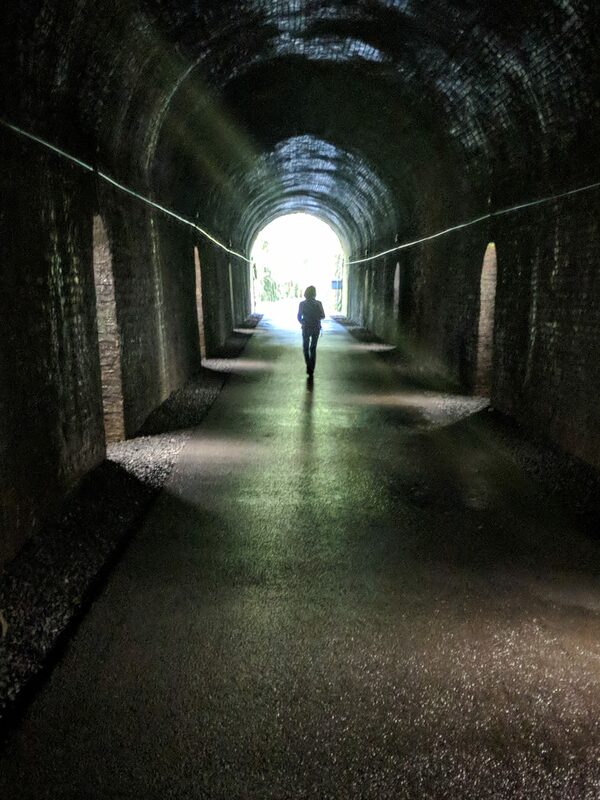 Be that light at the end of a dark tunnel. You’re in control! Great piece Traci, I agree completely, positivity helps improve my condition (MS) and negativity makes it worse. This was quite an article in my opinion complete with footnotes and computer cites that ended in .gov instead of .com, a good thing in my opinion. Who the hell am I? Just some middle aged guy with MS, who happens to be a lawyer, not that that means anything, but it does, and it required several years of school and passage of a bar exam. When going for a JD (juris doctorate) we didn’t have to write a dissertation but instead had to write a lengthy paper called the Upper Level Writing Requirement. Sworn in as an attorney in 2009 I practiced law for 3 years before being diagnosed with Secondary Progressive MS and stopping all work in 2014. I remember my last day of work pretty specifically; I was representing a client in a criminal matter, alleged child abuse. It was jury pick day. I was 1 of about 5 lawyers picking a jury that day. I went 3rd, which meant I had to wait in the courtroom for a couple of hours before my client and I got to choose. Both my client and I believed we had chosen a good jury, however, when it was finished I realized MS affected every single aspect of my physical being, from head to toe. Meaning the way I thought and spoke and saw things like people. My stamina was compromised as was my ability to walk and control pens and papers. Afterword I told the judge there was no way I was going to run a trial in this condition. I told him and my client that I would find a suitable attorney to take my place, which I did. My client was pleased with my selection, and the prosecution dropped the charges before the case ever went to trial, why I do not know. But the client was pleased and so was I.
Don’t know what any of that has to do with positivity as written in your article, Traci, but after reading your piece that is what emerged. I do not have a blog, maybe I should, maybe someday I will, but I do appreciate people with MS like you that put themselves out there with blogs like this and allow guys like me to exercise my soul. Thank you. Thank you for sharing your story! Maybe you should start a blog! It’s important for those of us with MS to see how others are affected and how we are able to deal with things and move forward. The more our tribe of support grows- the better for all of us!